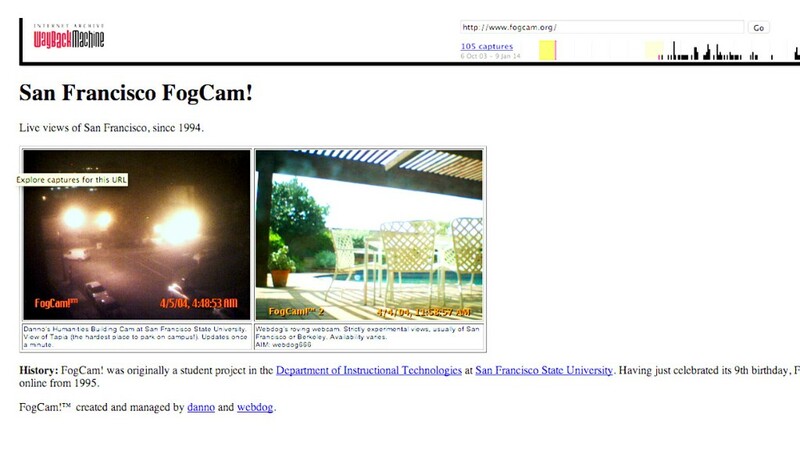 Though not the first webcam, FogCam claims to be the oldest webcam still in operation. It was started in 1994 by Jeff Schwartz and Dan Wong, who were studying at San Francisco State University. They wanted to give outsiders an idea of what it's like to be a student at the university.